Innovative Sound was officially born in the summer of 1994. Out of a small single garage workshop on E. Division in Springfield, MO, Mark Hartsock, President and founder, began to build his business while building custom rides for his customers. A partnership with another company 'California Hot Wheels', in 1996 catapulted Innovative Sound into the production world. Outfitting H1 Hummers, Lamborghinis, Ferraris, and other exotics of the era became the norm. By 1999 the company started working in all kinds of electronics and it was common-place to set up pro-audio equipment for concerts or wire a business for distributed phone systems and audio. The little shop was no longer big enough to handle the work load, so the search for a new location was underway. In 2001, two buildings were purchased in Nixa, MO and a lengthy renovation was started to set up the kind of audio/video headquarters that customers craved. 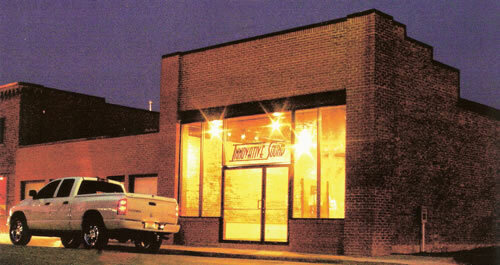 Innovative Sound grew into a full-service custom shop, capable of just about anything in the world of sight and sound. Today, it's not hard to see what makes Innovative Sound different from the competition. Not only do they offer the best of every type of audio/video gear known to man, and the know-how to install and service that equipment, but they also offer all of that at prices far below retail. Innovative Sound, Inc. and its President and founder, Mark Hartsock, have been a strong competitor since day one. Our shop is located on Main Street in Nixa, Missouri, but members of our team are often on location. Feel free to swing by and say hi or give us a call to discuss your audio and video needs. "Having the distressing experience with other audio video companies in the Nixa area, I was overjoyed when I met Mark and his team. The entire team provided outstanding service even when it was a last minute service call. I won't do business anywhere else, ever again. Everything was perfect!" "Mark and his team are extremely professional, clear, and fun to work with. We have had them do extensive work at our office at Innovative Dental and we have been very impressed with their service. Our patients and team love what we are able to provide them with the latest in audio and video. Thanks Mark and Innovative Sound!" "Awesome service! Very professional and affordable. I highly recommend the entire team at Innovative Sound!" Thanks Innovative Sound!"